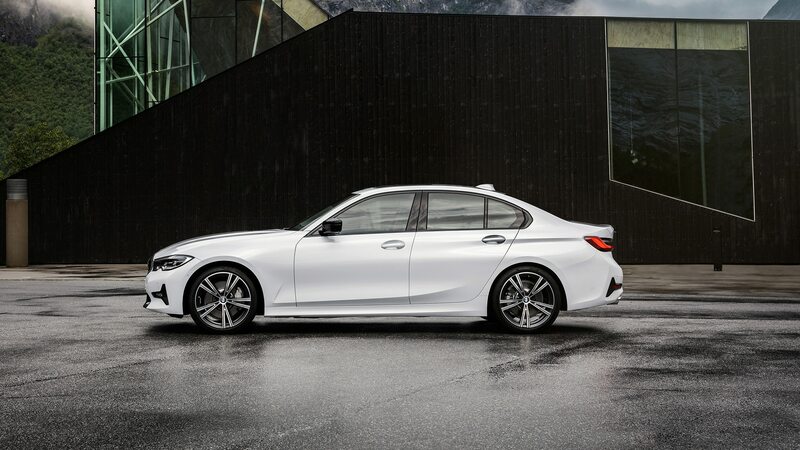 Hinting at its sportier ambitions is the new exterior design. 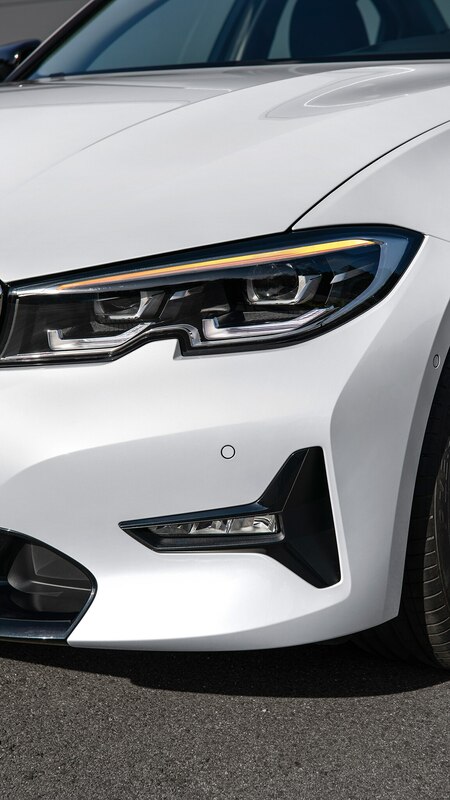 Up front, the kidney grilles are now connected and feature thick surrounds. 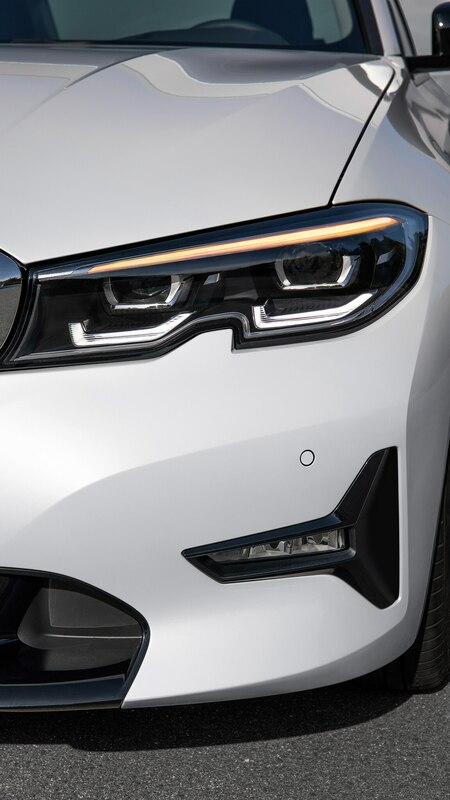 Redesigned front vents contribute to the more determined look. 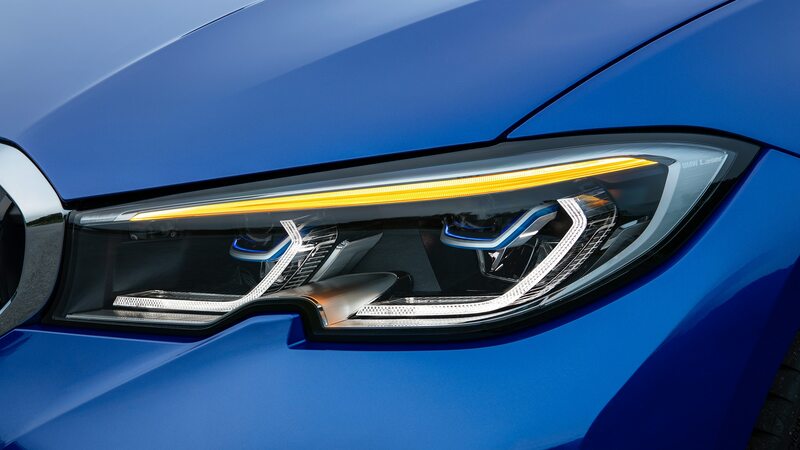 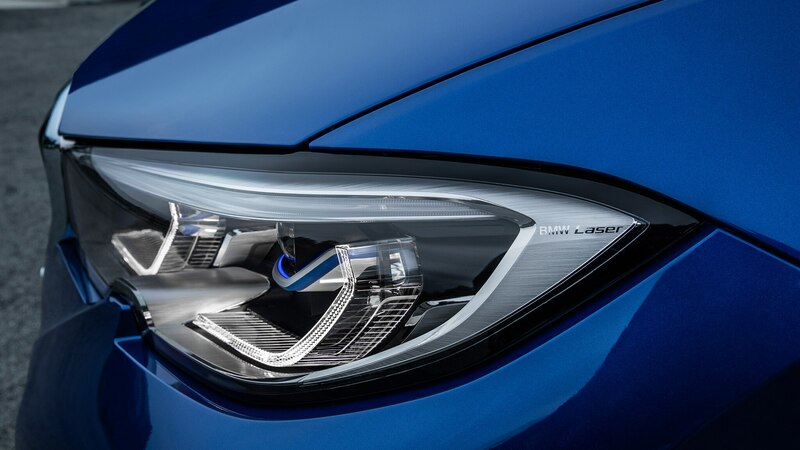 Full LED headlights are standard, but buyers can also spring for optional adaptive headlights with Laserlight technology, featuring blue L-shaped elements. 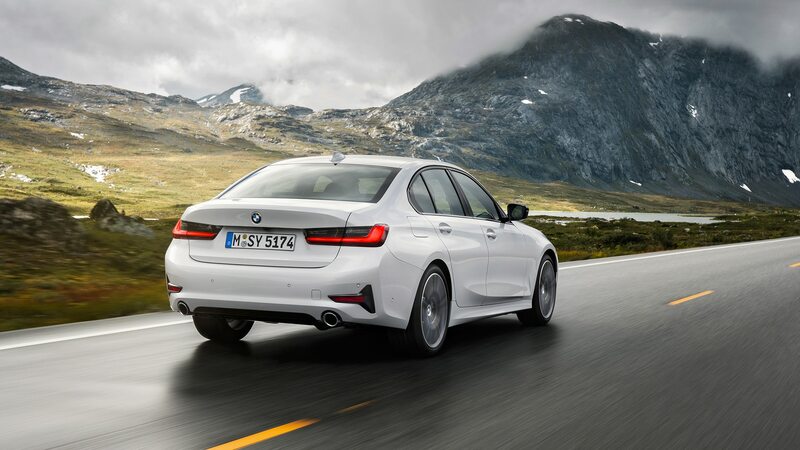 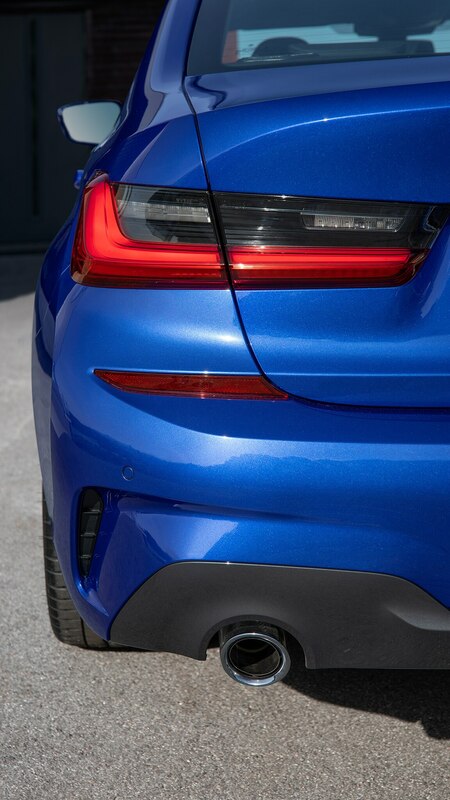 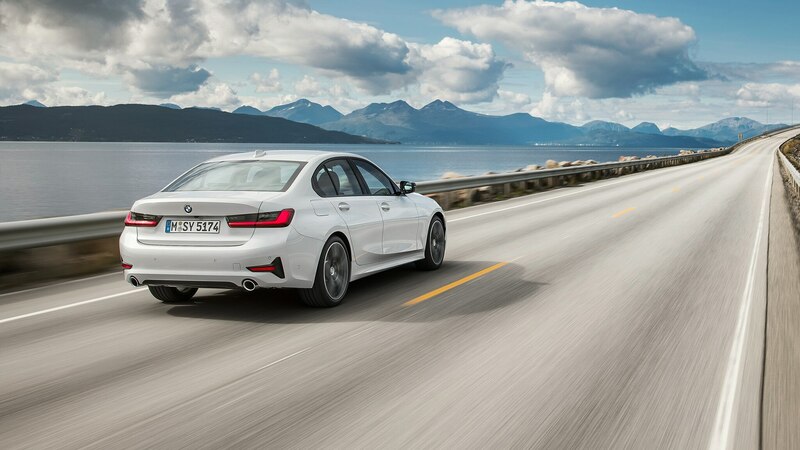 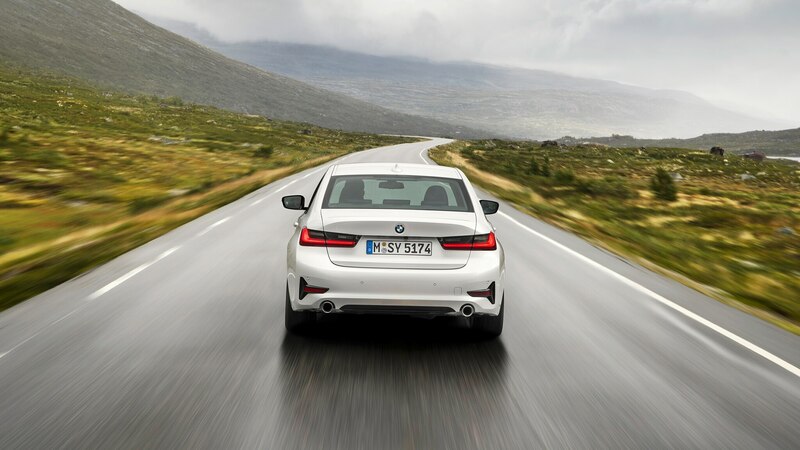 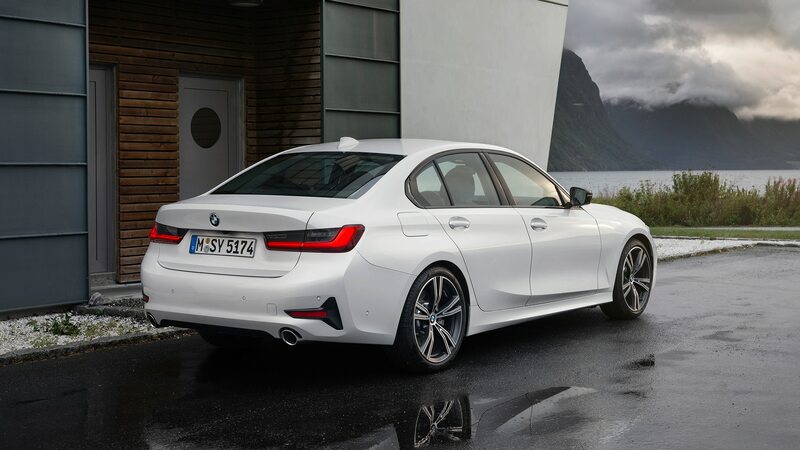 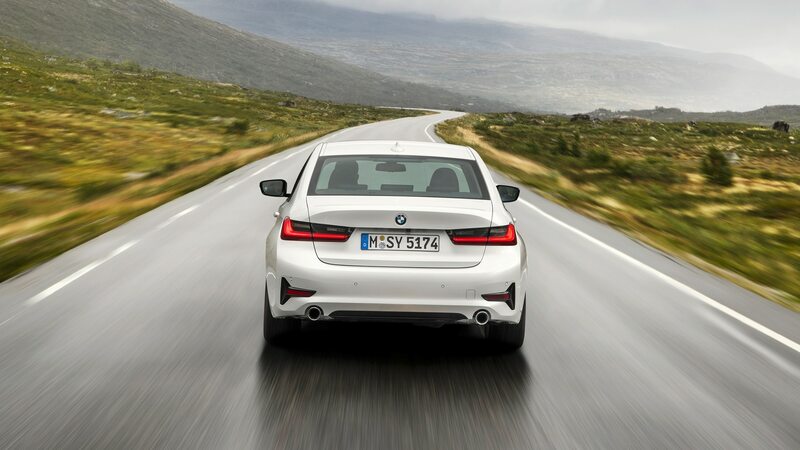 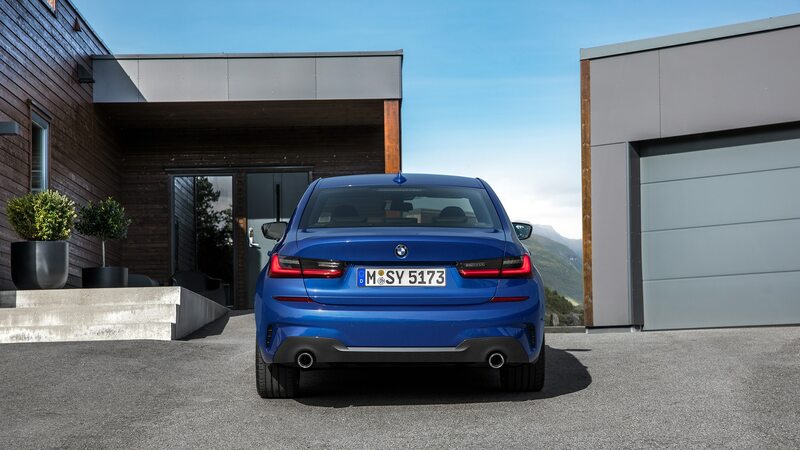 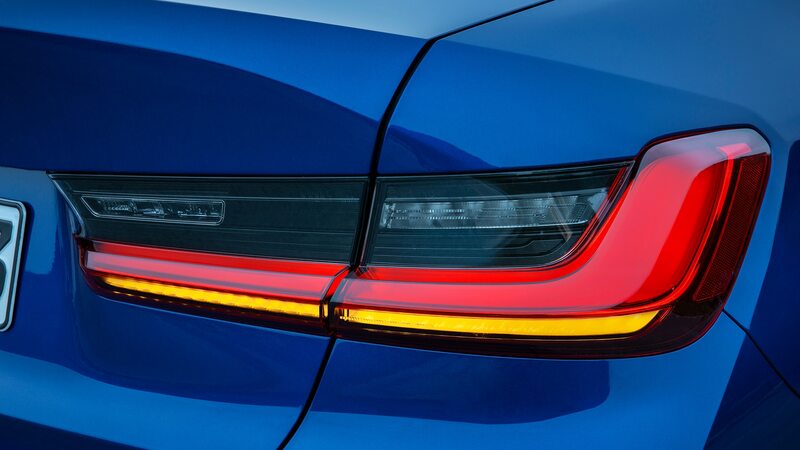 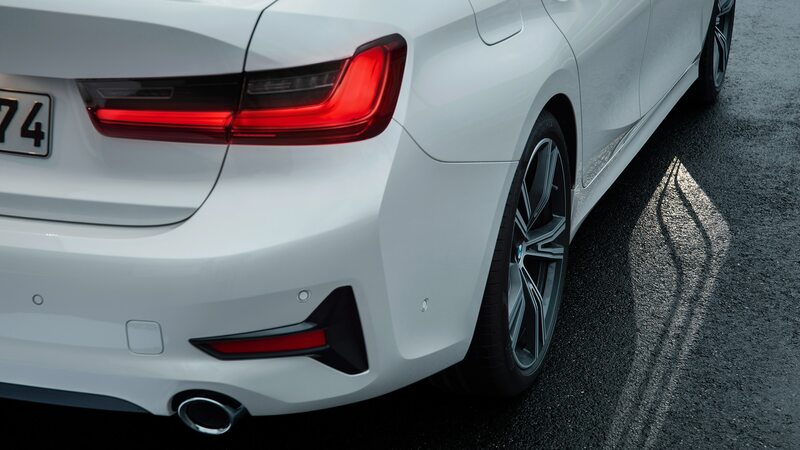 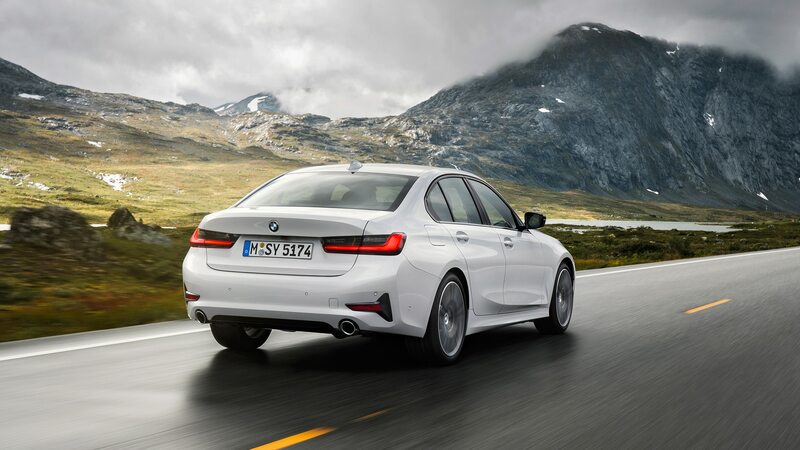 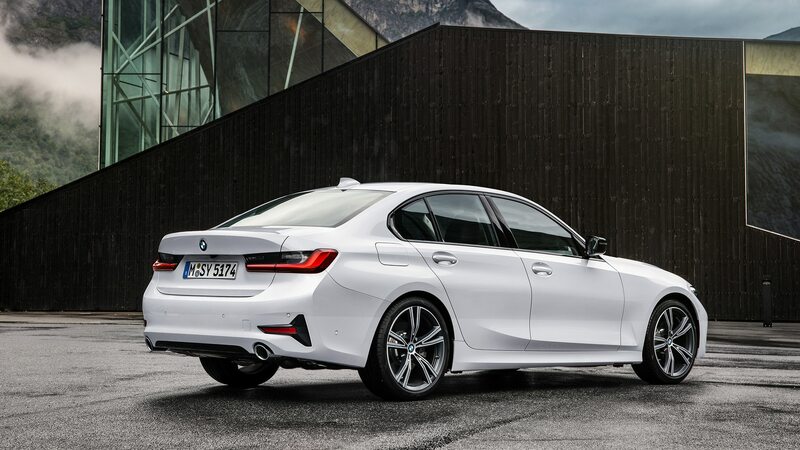 In the rear, the 3 Series has narrower taillights with a new lighting signature. 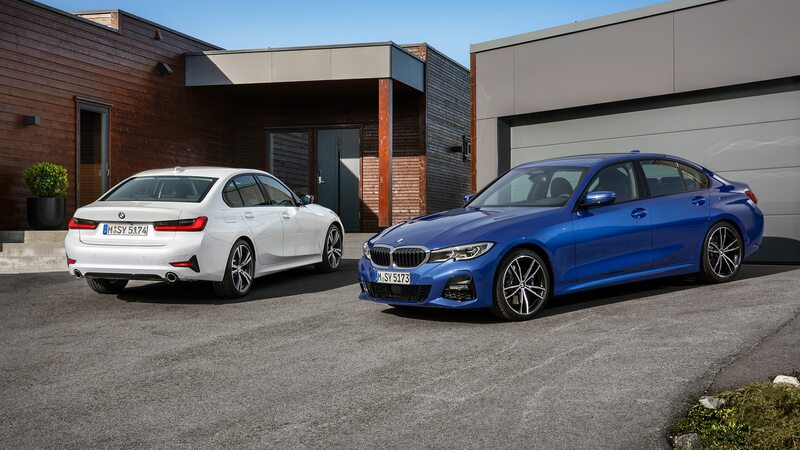 Despite the slightly bolder look, the car has grown compared to its predecessor. 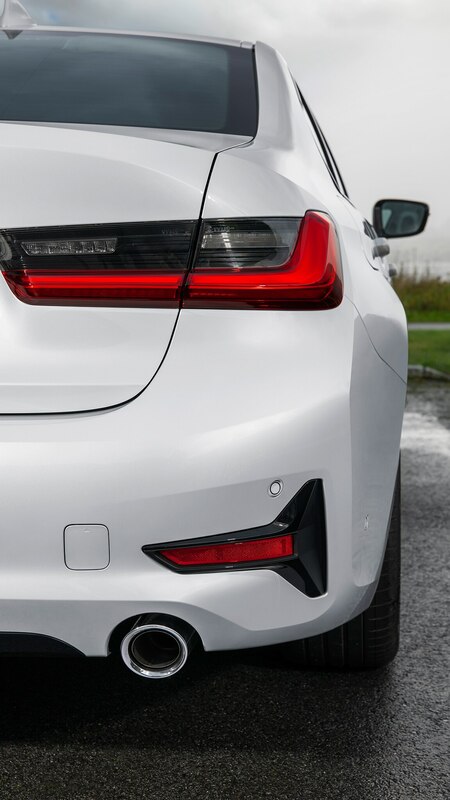 It’s 2.9 inches longer, 0.6 inches wider, and 0.5 inches taller, with an increased track width front and rear. 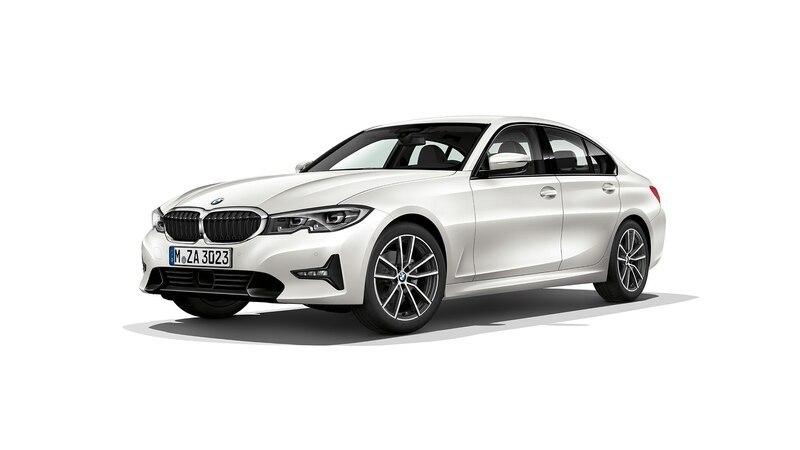 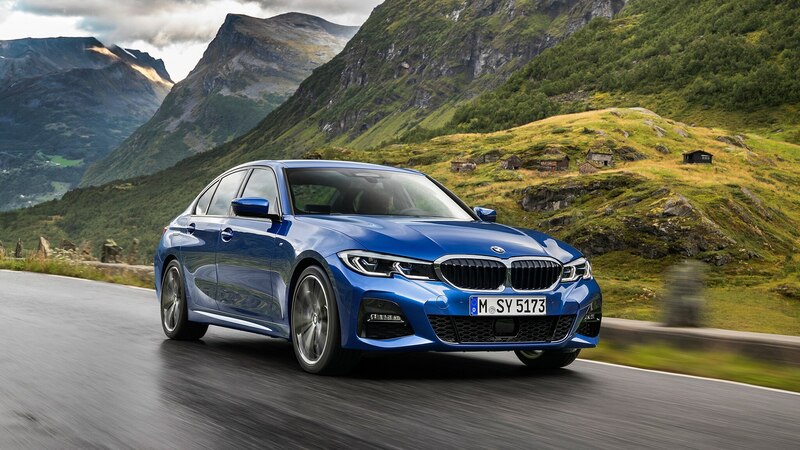 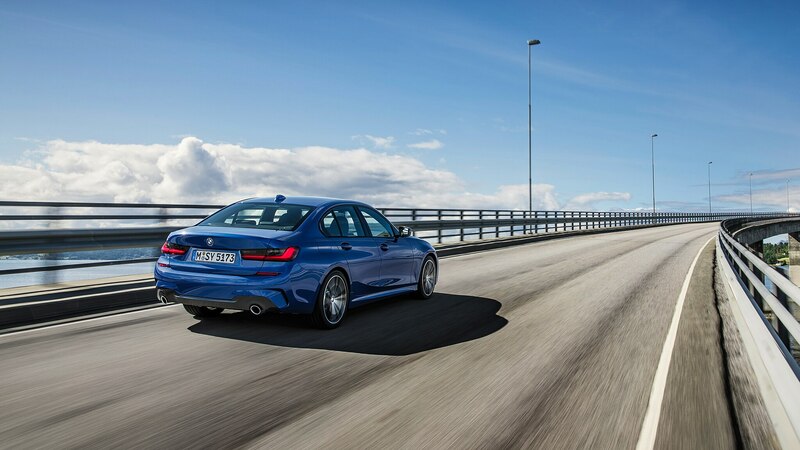 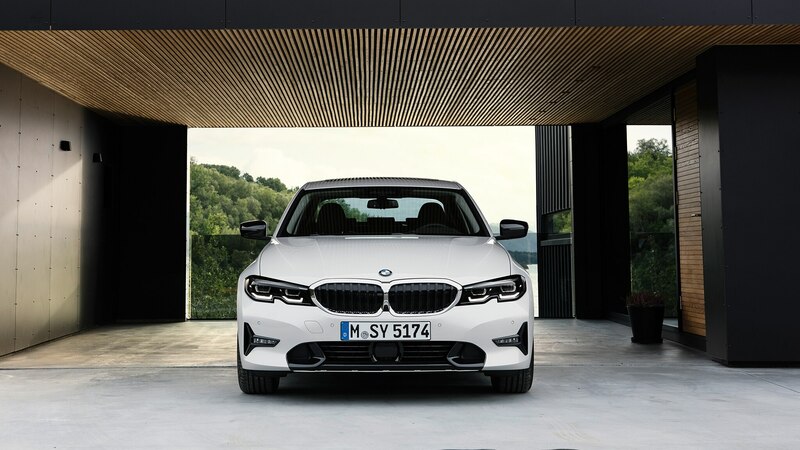 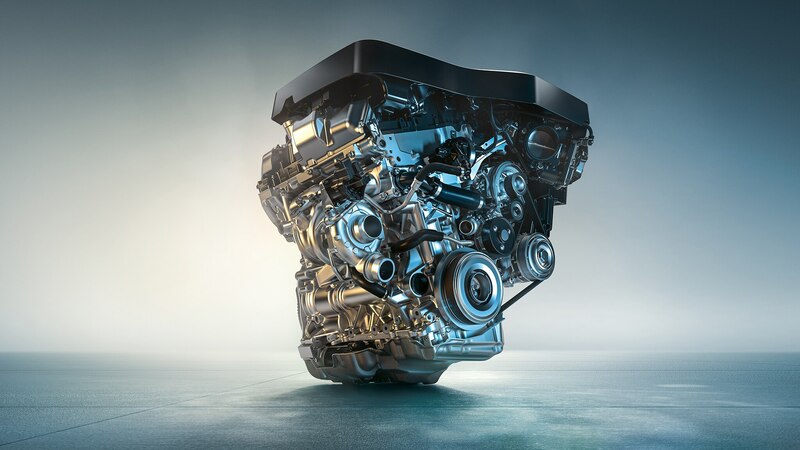 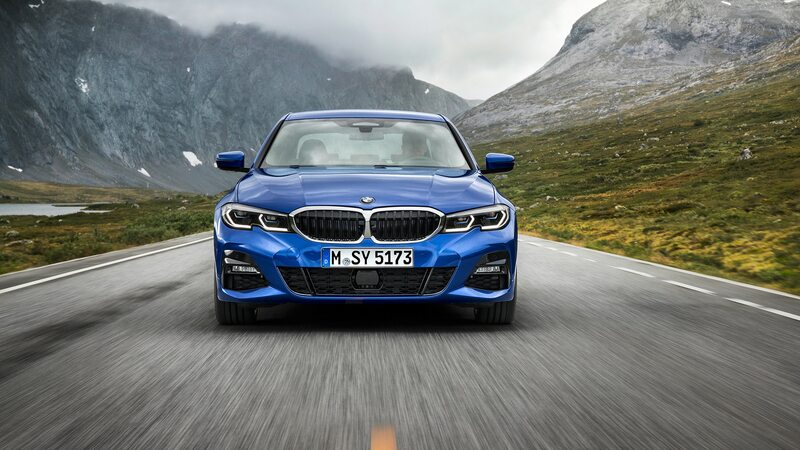 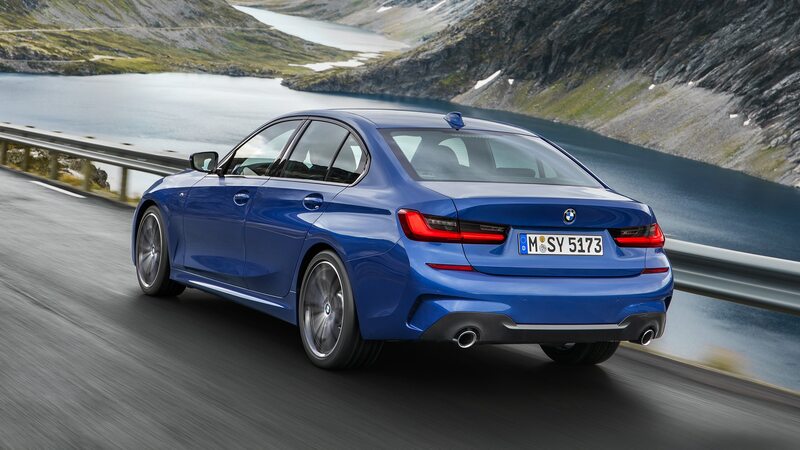 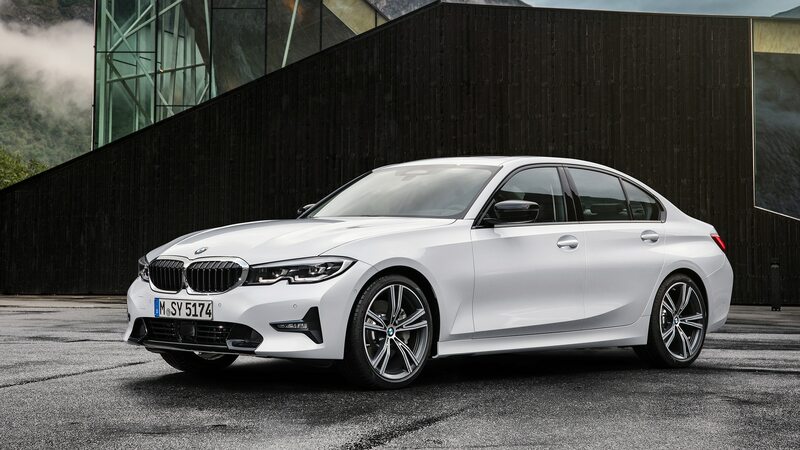 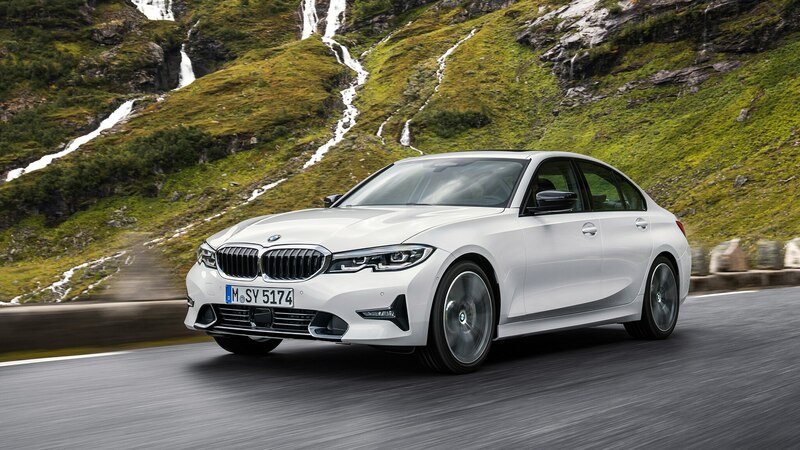 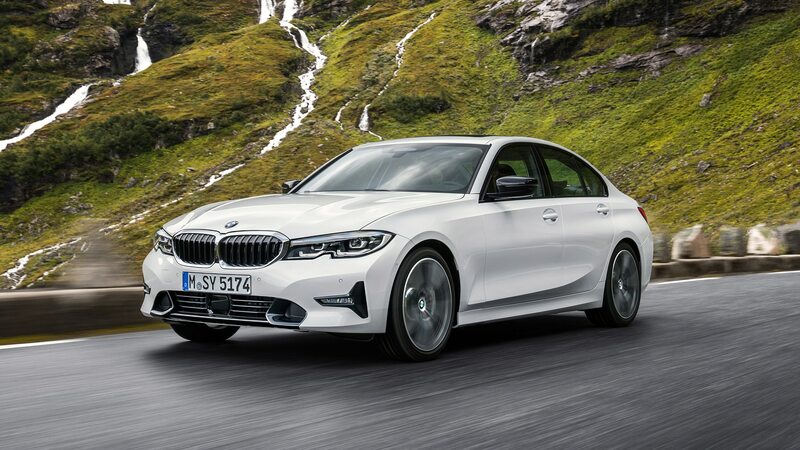 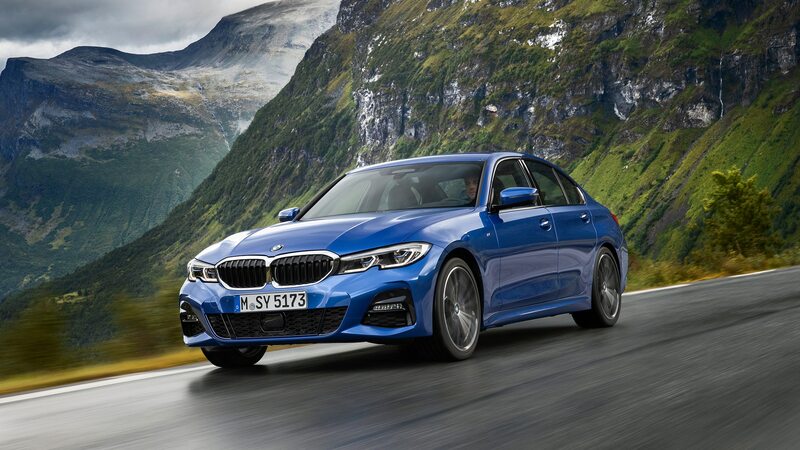 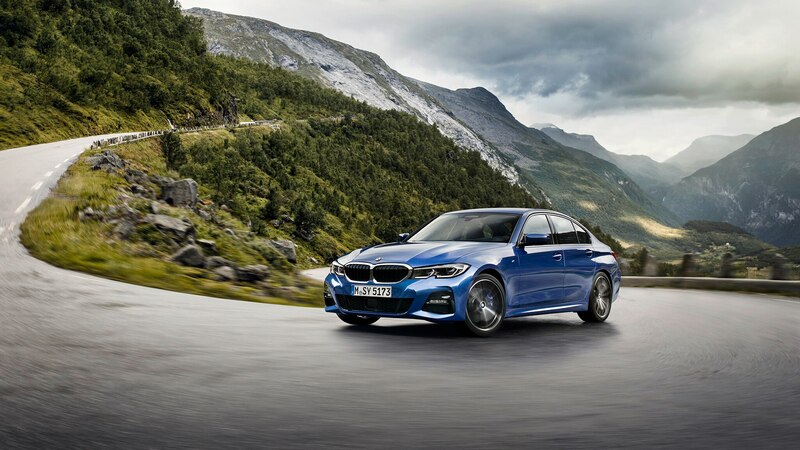 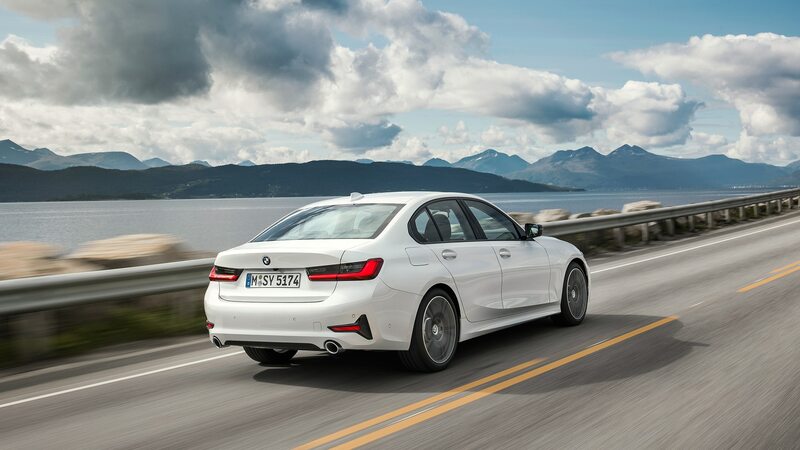 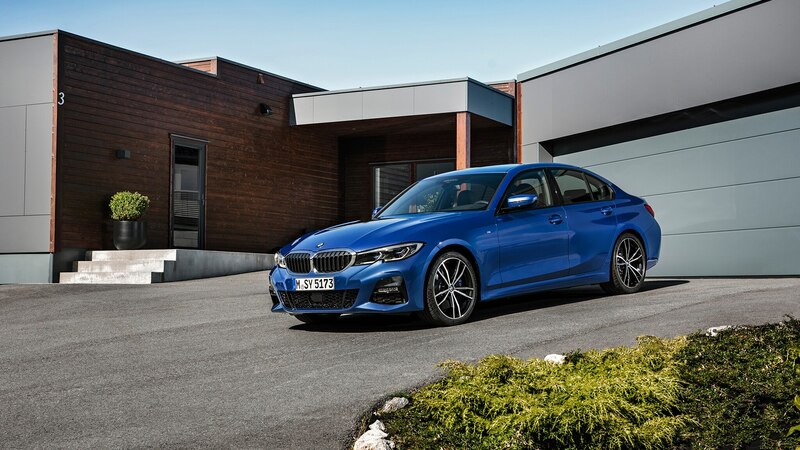 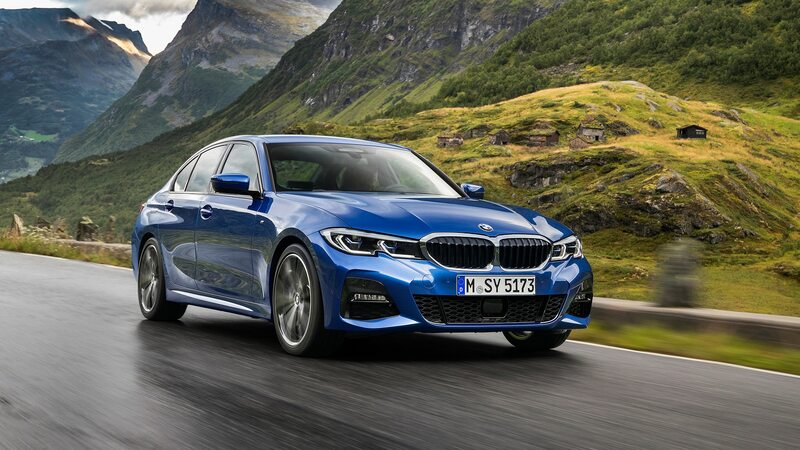 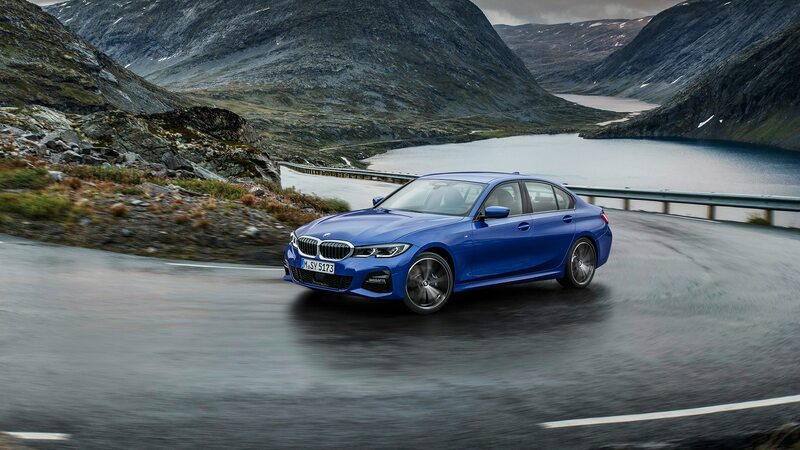 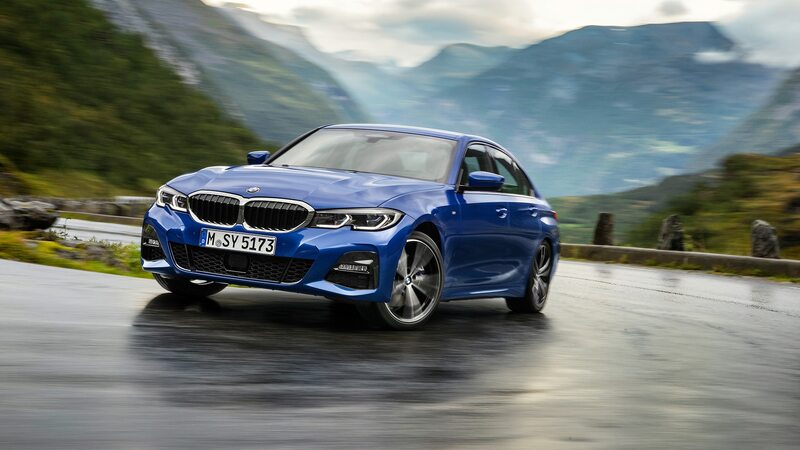 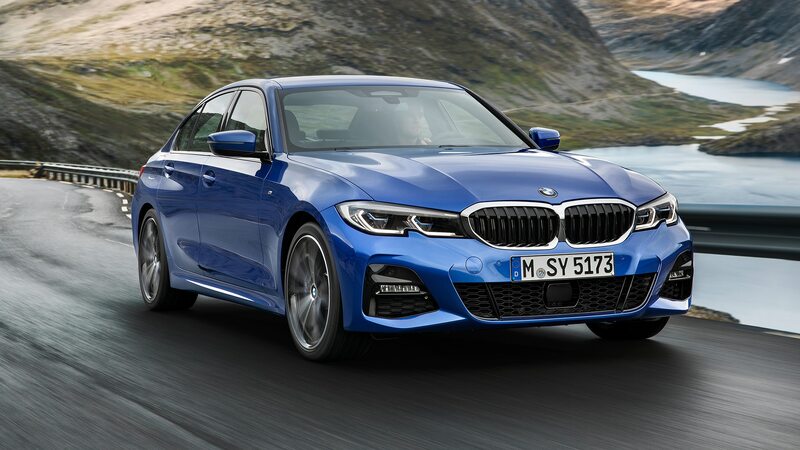 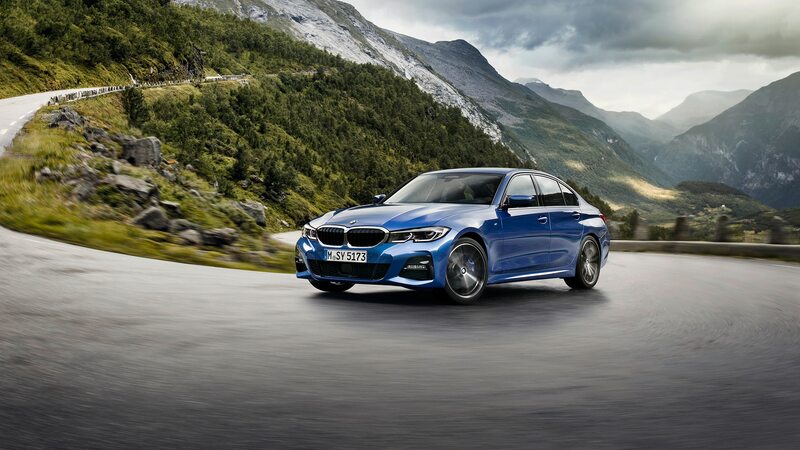 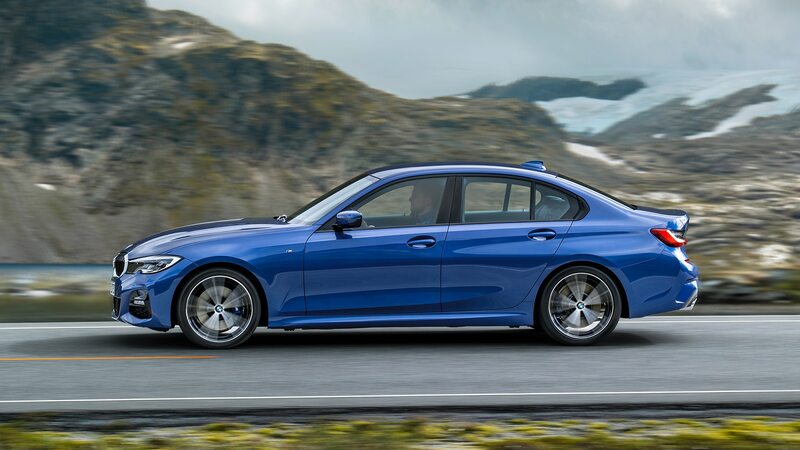 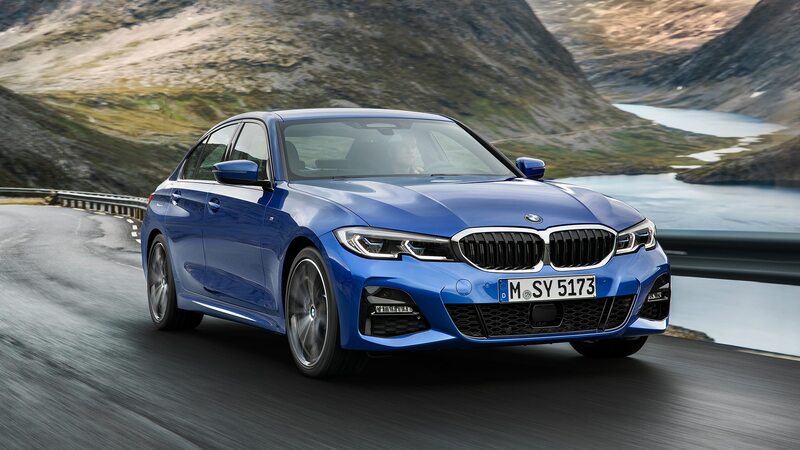 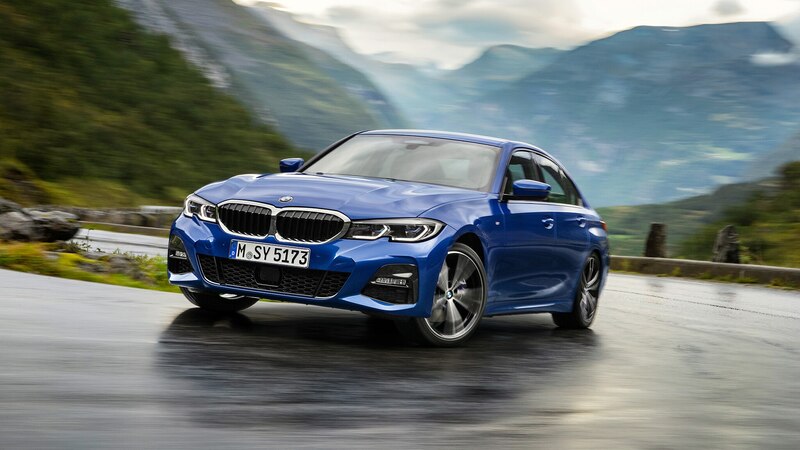 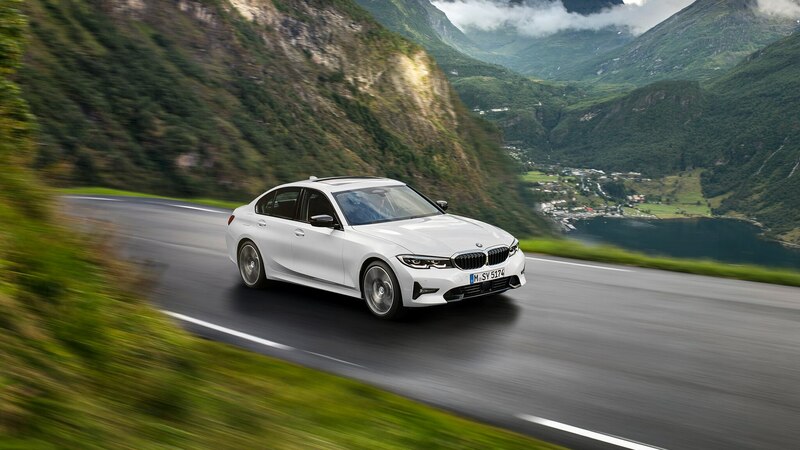 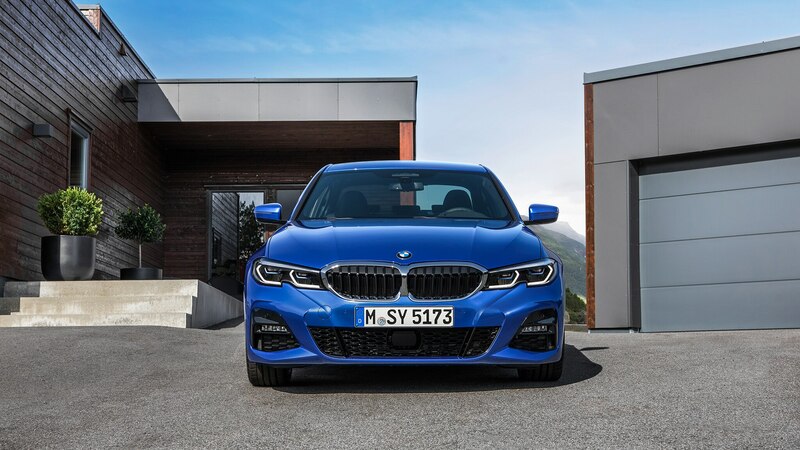 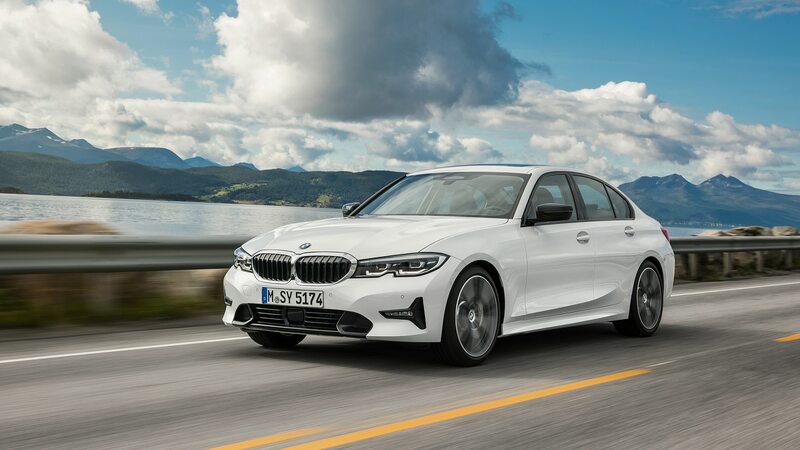 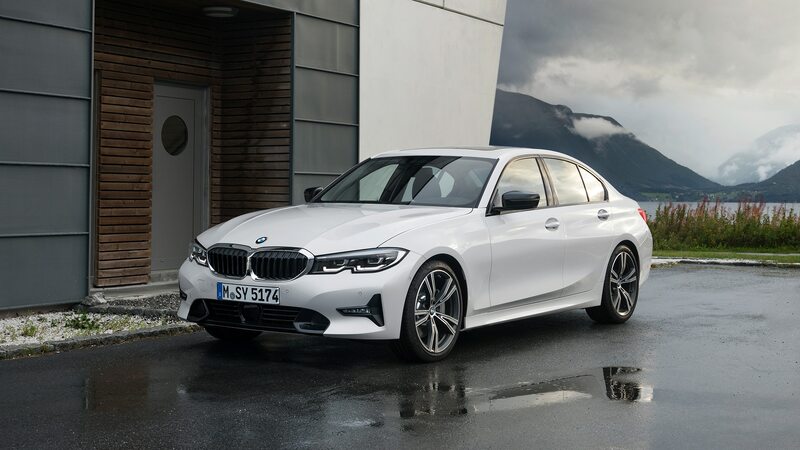 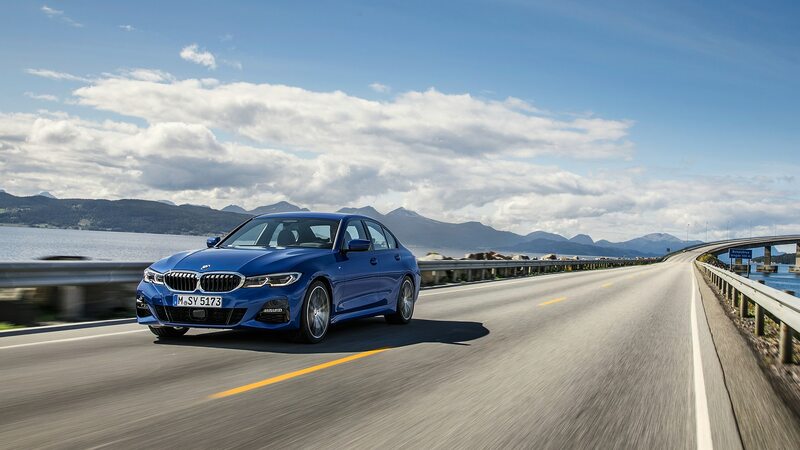 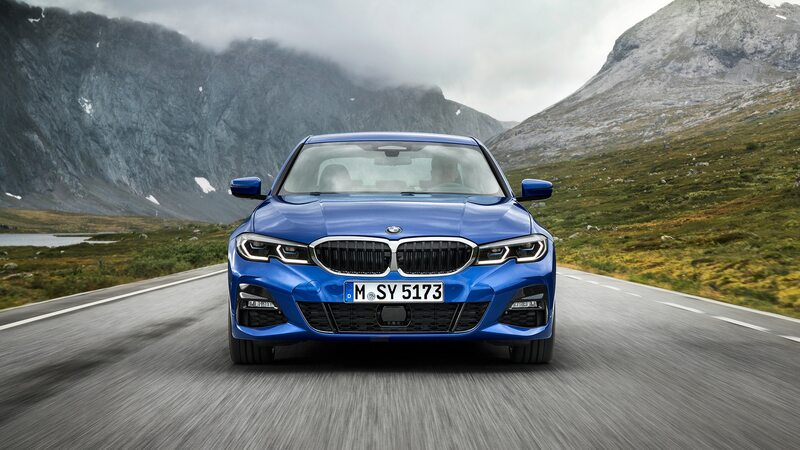 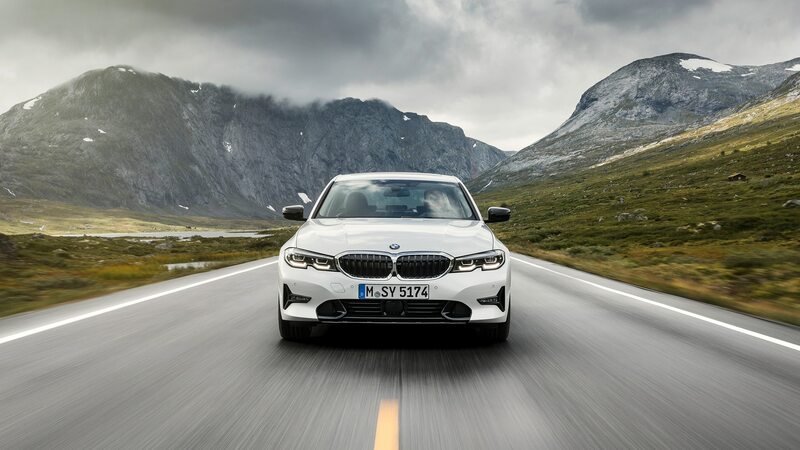 The 330i receives more power than last year’s model thanks to a number of engine updates, including a lighter crankshaft and reduced internal friction. 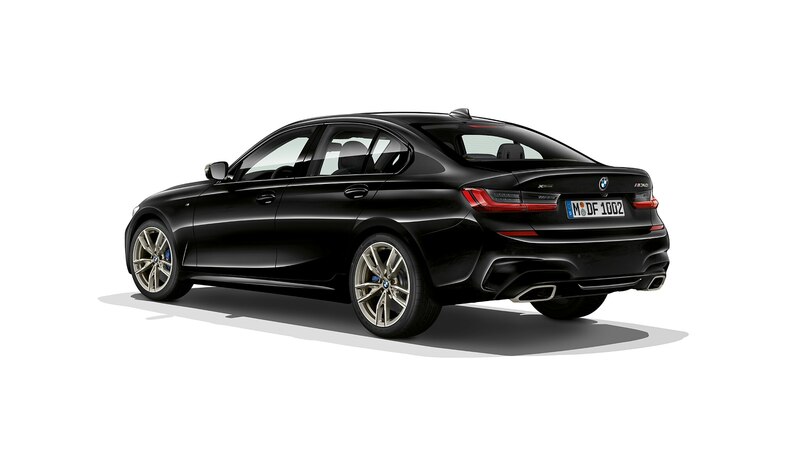 The 2.0-liter turbocharged inline-four makes 255 hp and 295 lb-ft of torque, up 7 hp and 37 lb-ft from the old model. 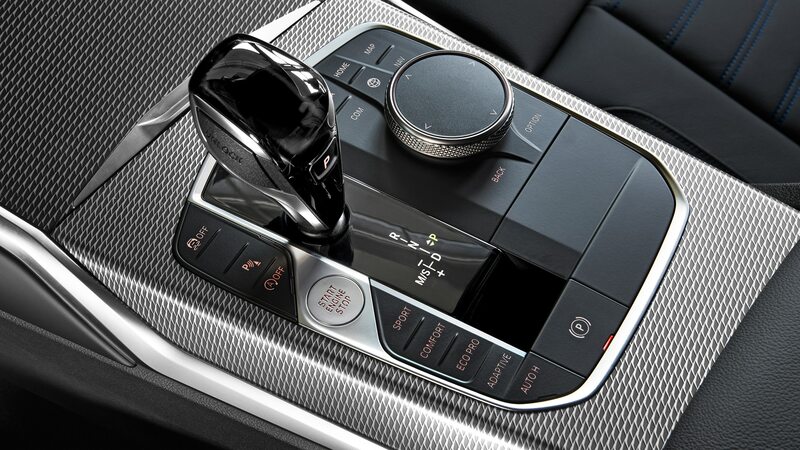 Say goodbye to the six-speed manual, because an eight-speed automatic is the only transmission choice. 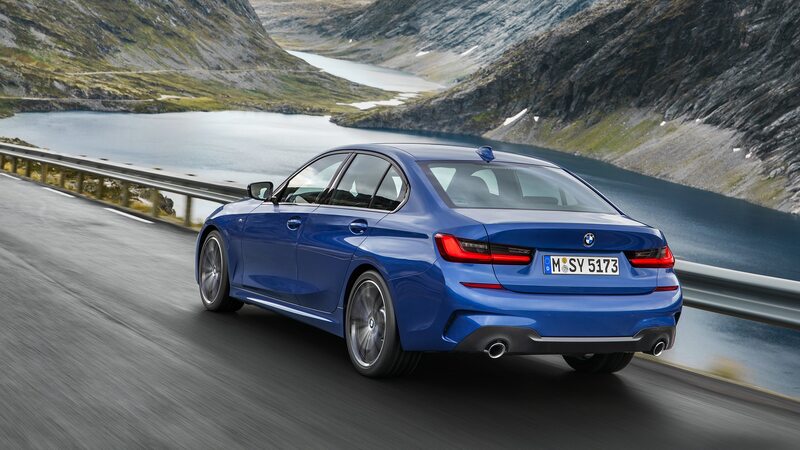 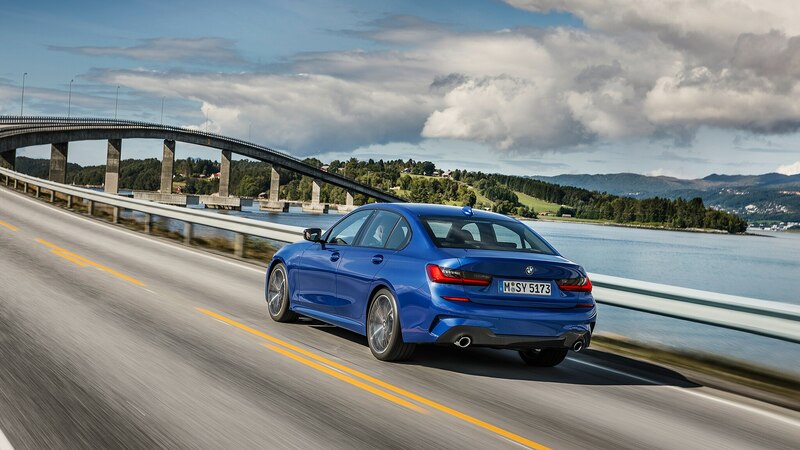 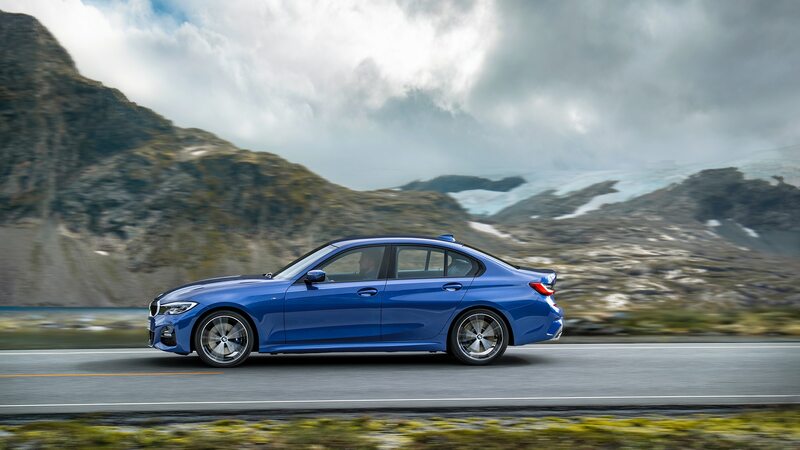 BMW estimates a 0-60 time of 5.6 seconds for the rear-drive 330i and 5.3 seconds for the all-wheel-drive version. 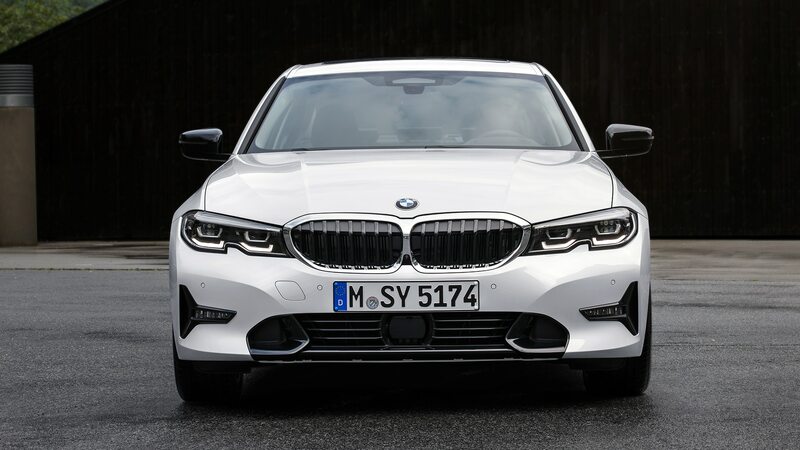 In our own independent tests, we recorded a rear-drive 2017 BMW 330i doing the deed in 5.5 seconds, matching BMW’s own estimate for that model. 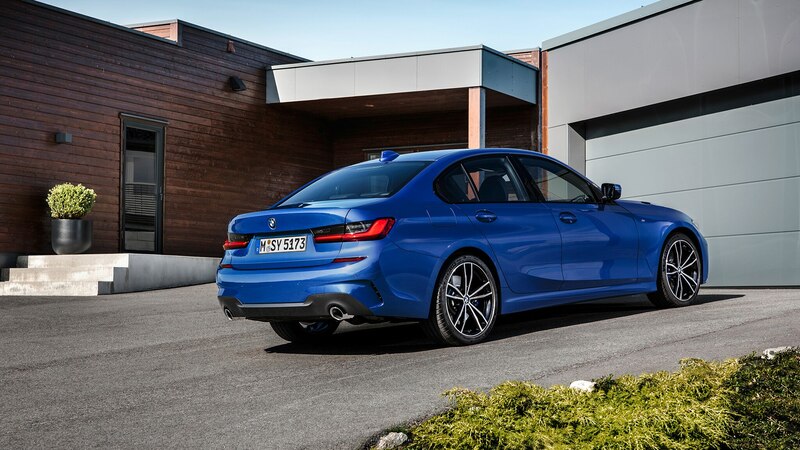 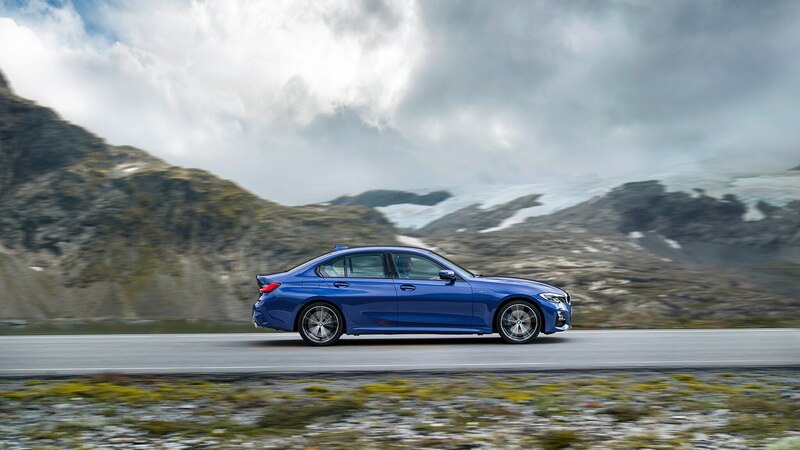 Those who want more power will opt for the M340i, which receives an updated six-cylinder engine producing 382 hp and 369 lb-ft of torque. 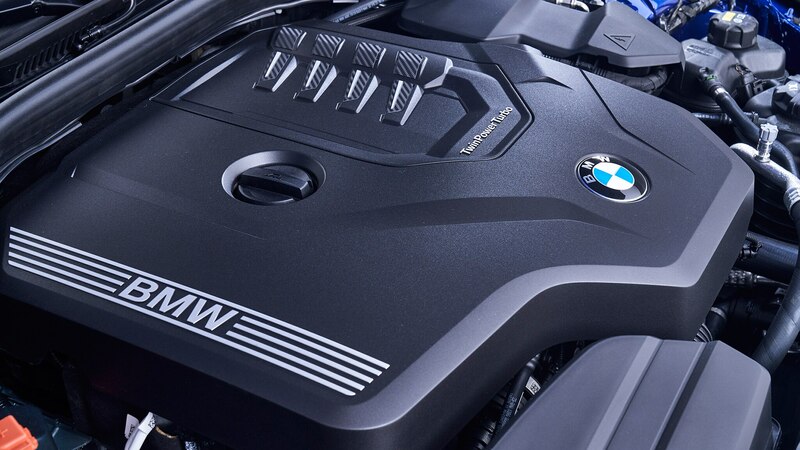 This engine, also paired to an eight-speed automatic, should propel the BMW to 60 mph in as little as 4.2 seconds. 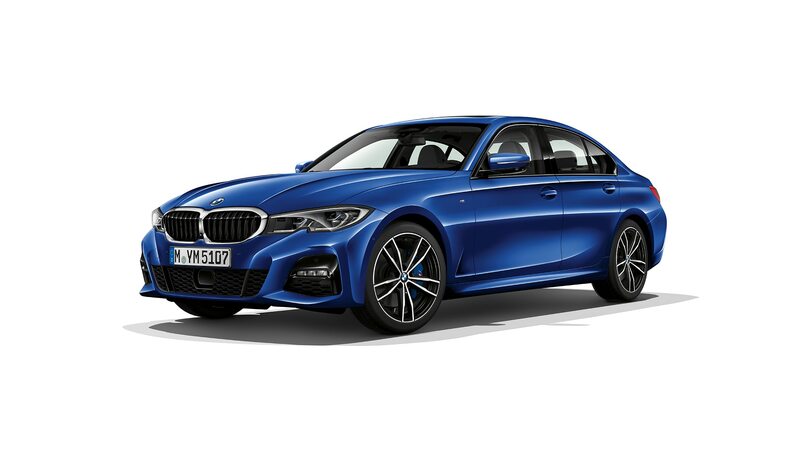 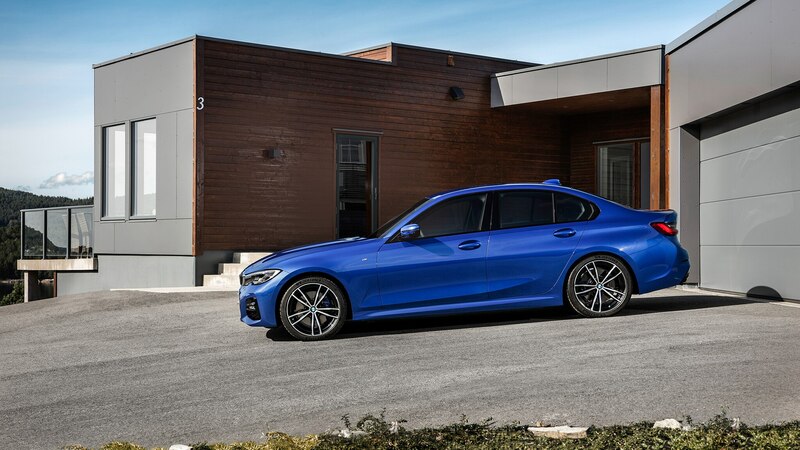 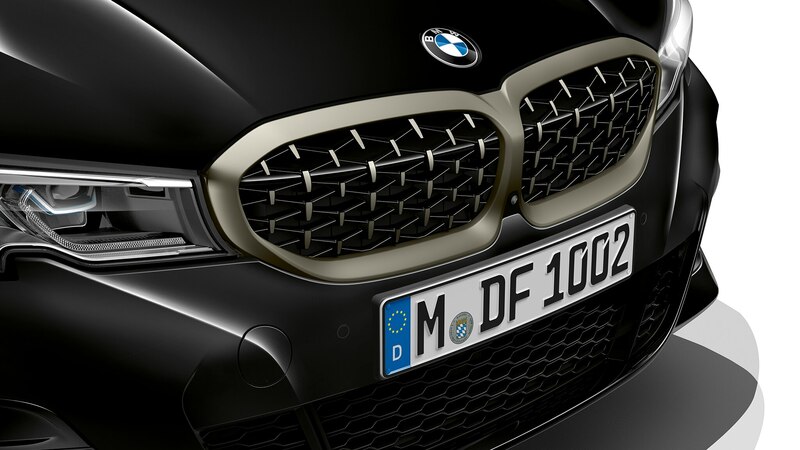 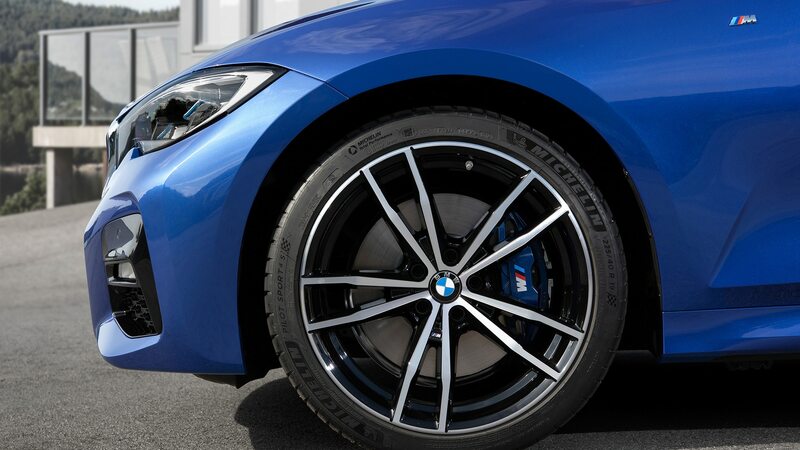 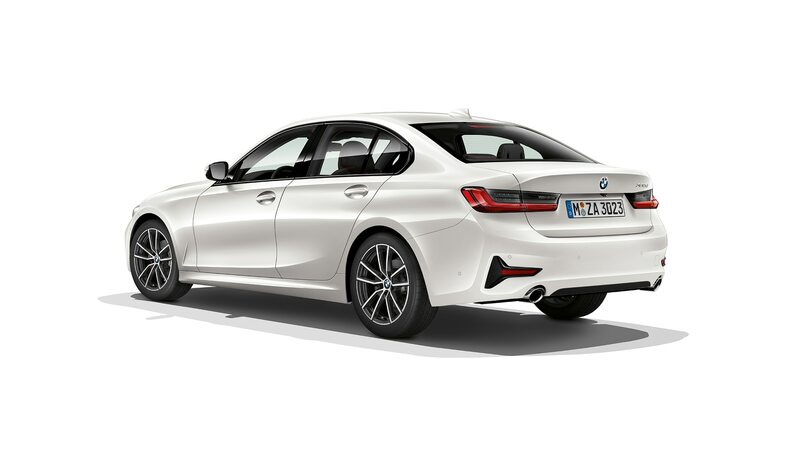 As you’d expect, these models receive M Performance chassis tuning, in addition to a standard M Sport rear differential for improved traction and cornering. 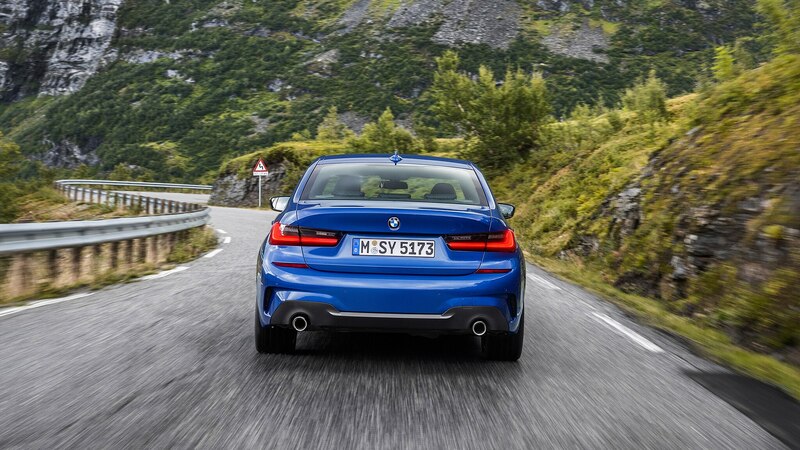 All-wheel drive is available. 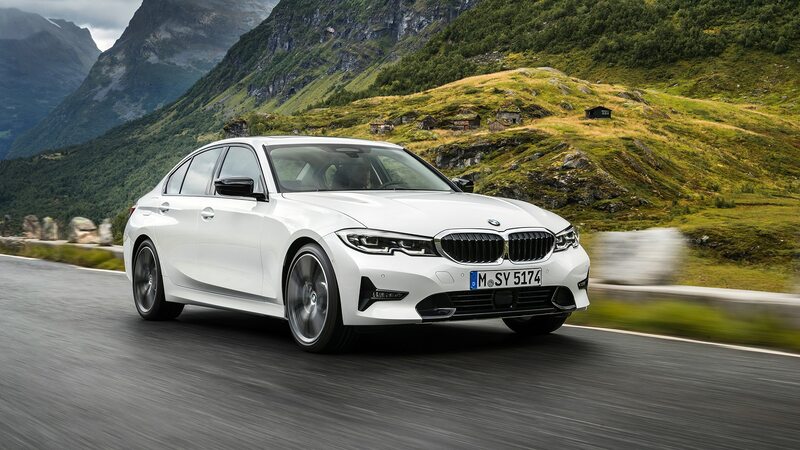 We don’t know all the details yet, but BMW promises an electrified 330e model in 2020. 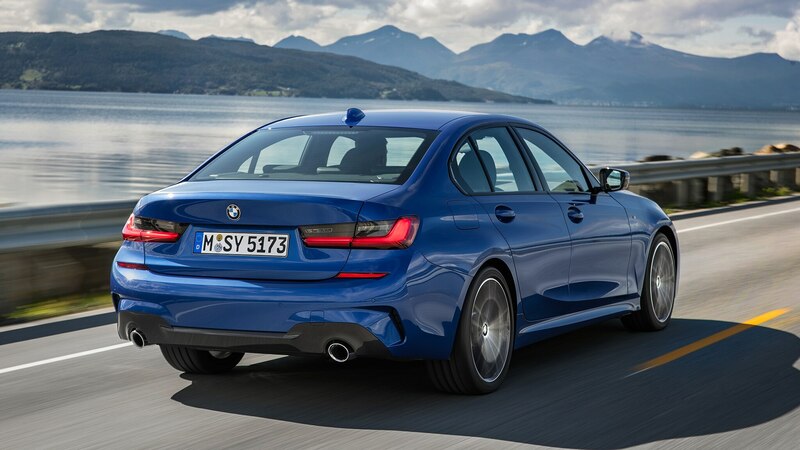 It’s unclear whether we’ll see the diesel variant return to our market. 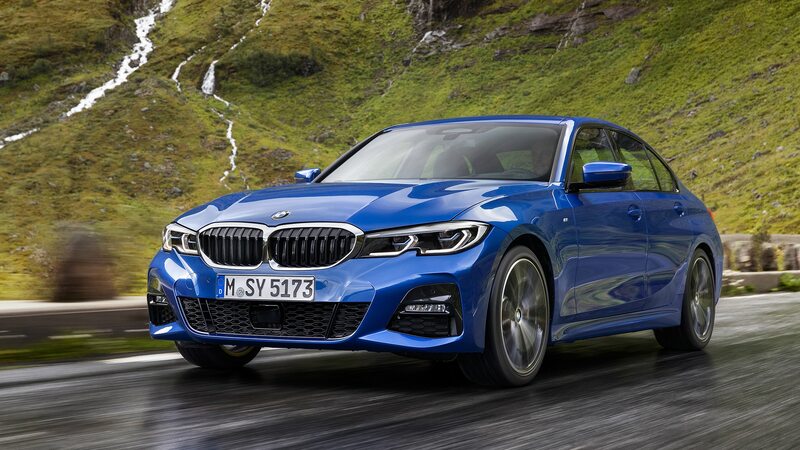 BMW says it’s evaluating diesel versions of its new vehicles, including the new 3 Series, but no decisions have been made. 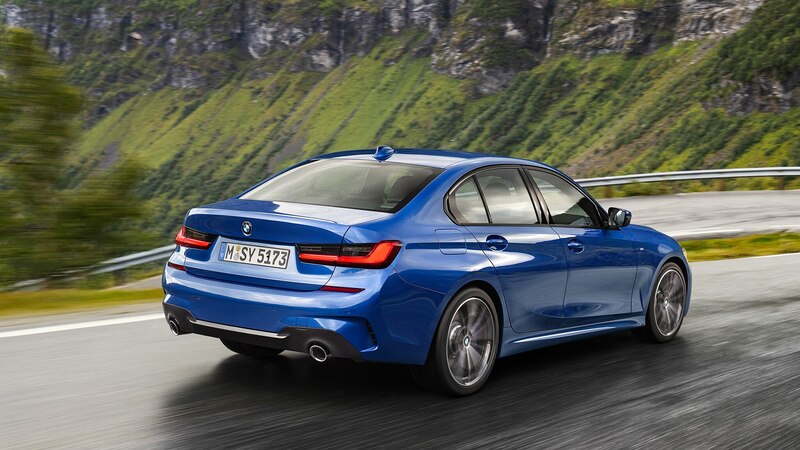 BMW hasn’t completely redesigned the 3 Series here in the U.S. since the 2012 model year. 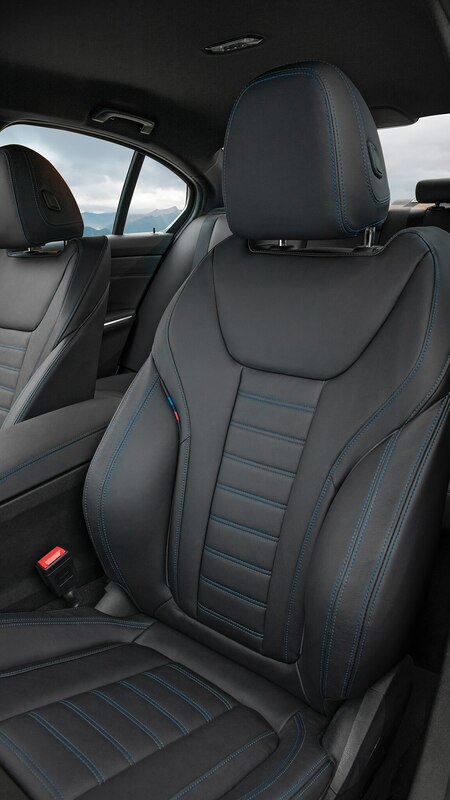 And one of the places it’s really showing its age is the interior. 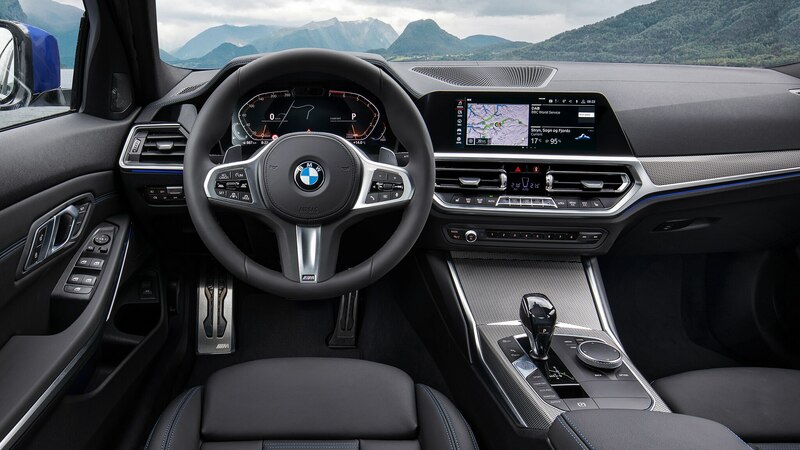 Inside the cabin, you’ll find a much more streamlined setup than the one on the old model. 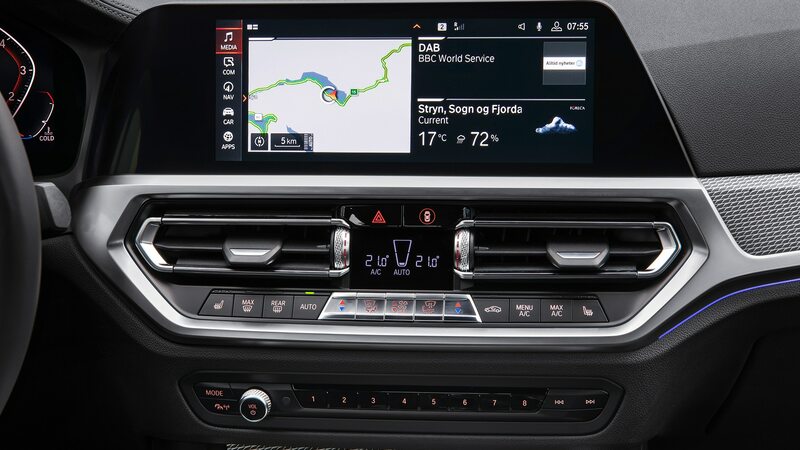 Front and center is the new 8.8-inch standard touchscreen, or the optional 10.25-inch unit. 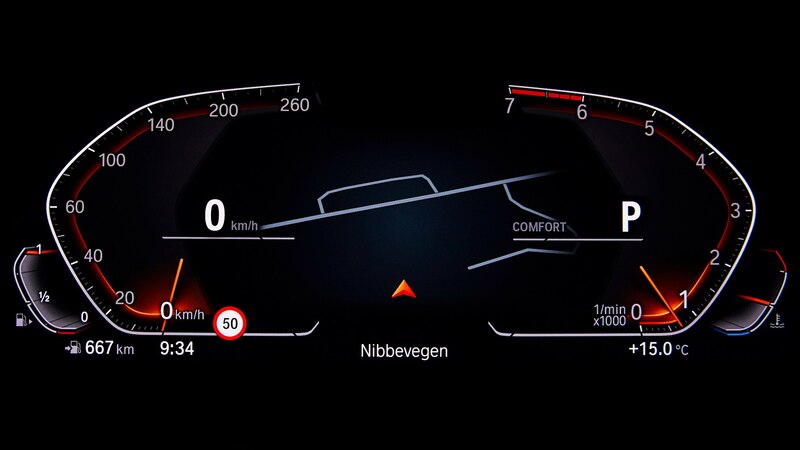 Complementing this unit is a more modern digital instrument cluster display. 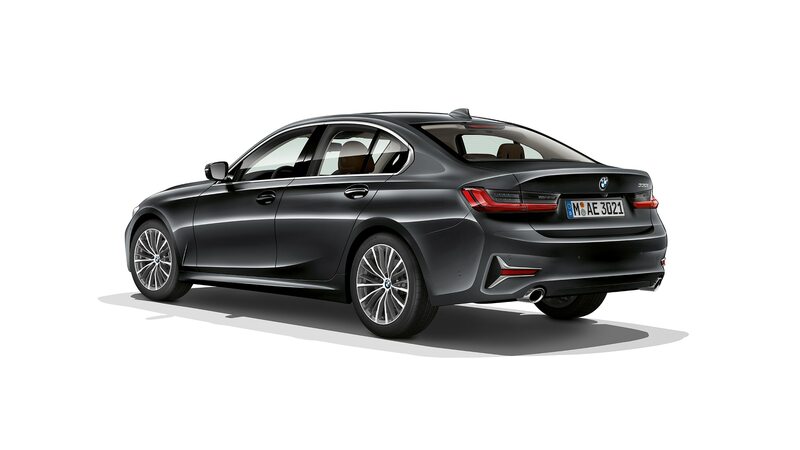 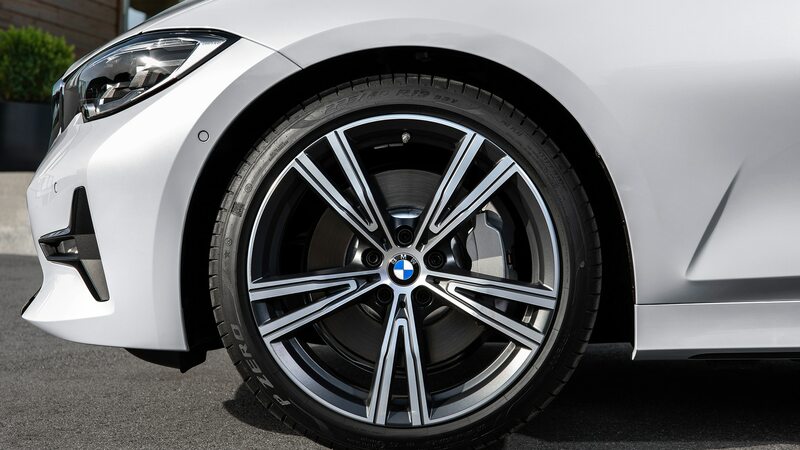 BMW made its center stack more compact and less cluttered, and from what we can surmise from these photos, the manual parking brake is gone. 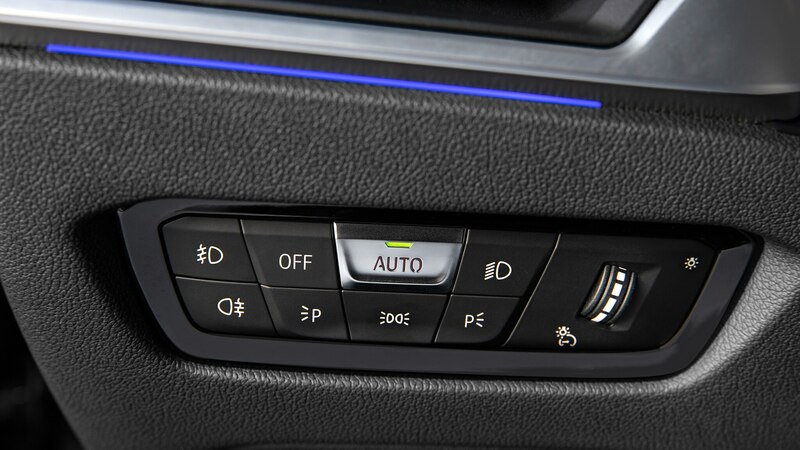 Standard features include three-zone automatic climate control, a rain sensor, and acoustic glass for the windshield. 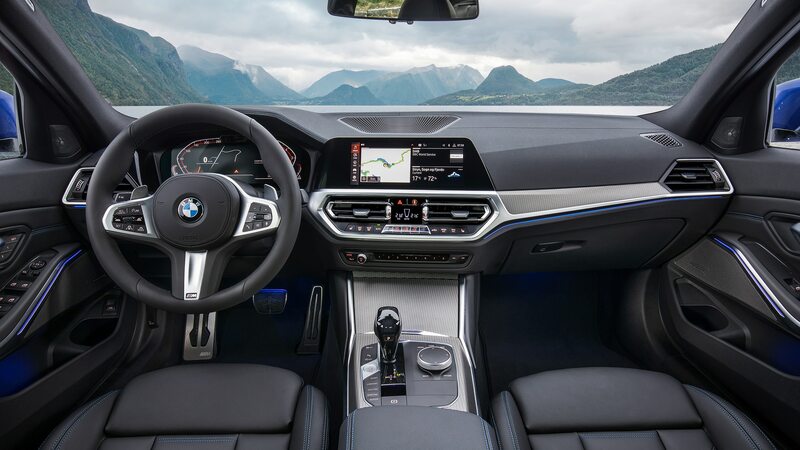 Other features include new Vernasca leather upholstery, a next-gen head-up display with a 70-percent bigger projection area, ambient lighting, and a Storage package with nets and bag hooks for your stuff. 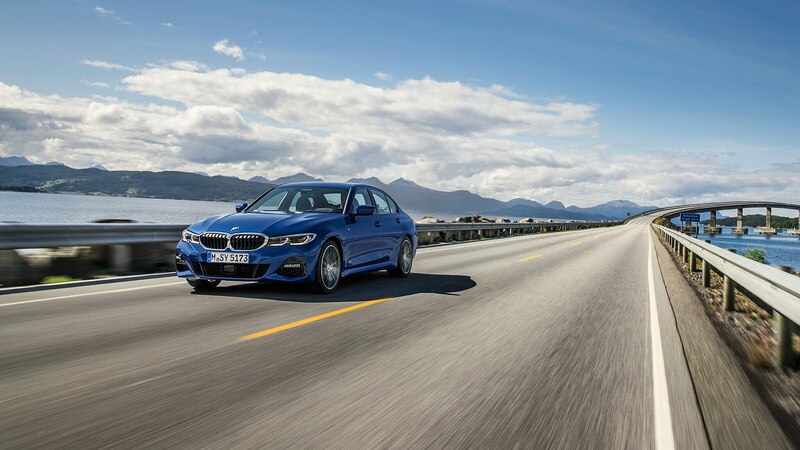 BMW improved the model’s active cruise control system to stay on for a longer period of time at a full stop before it turns off. 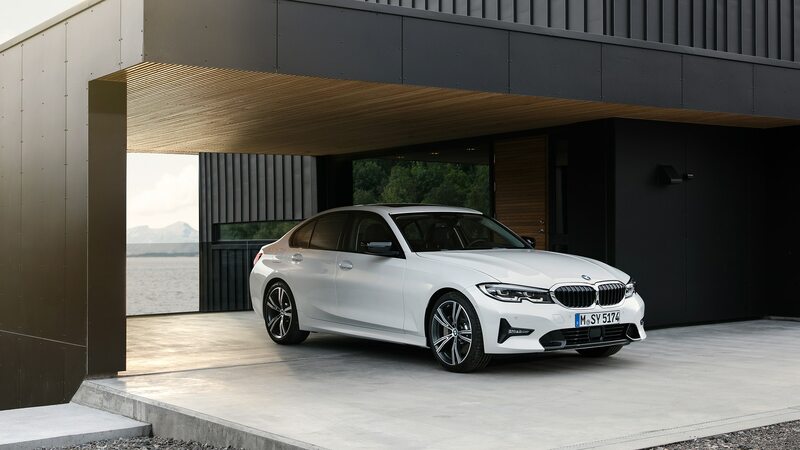 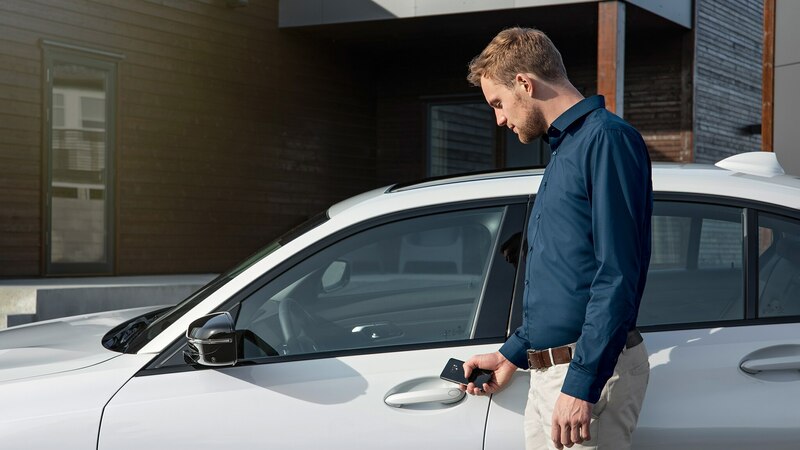 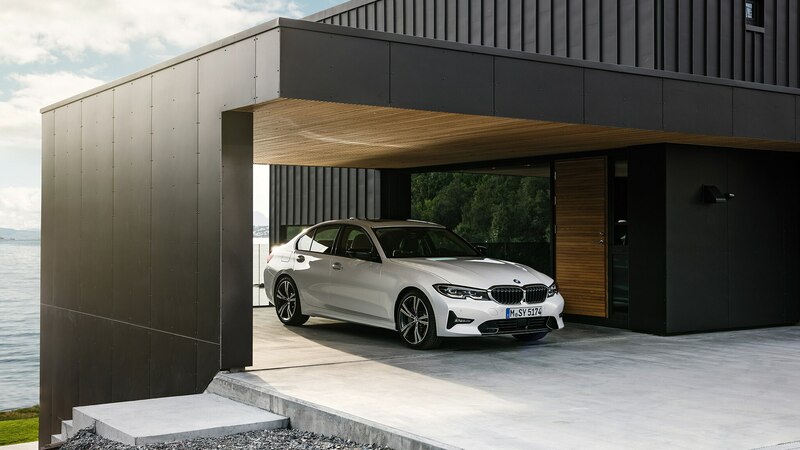 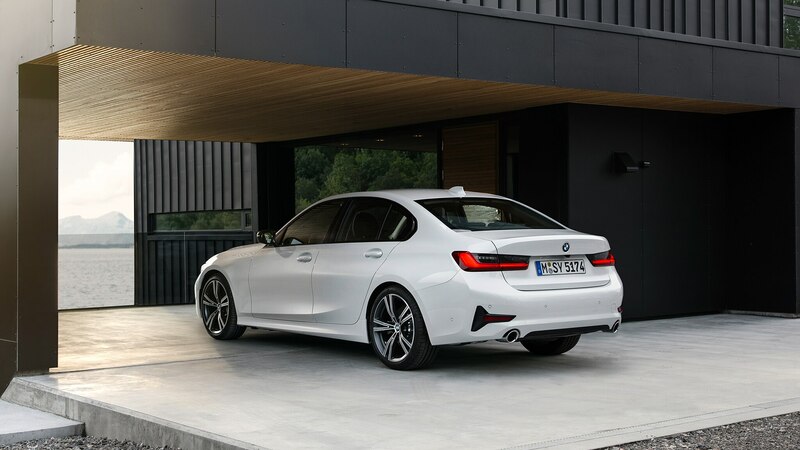 BMW’s automatic parking feature can now automatically maneuver out of parallel parking spaces, and Parking Finder offers drivers a variety of parking options before they reach their destination. 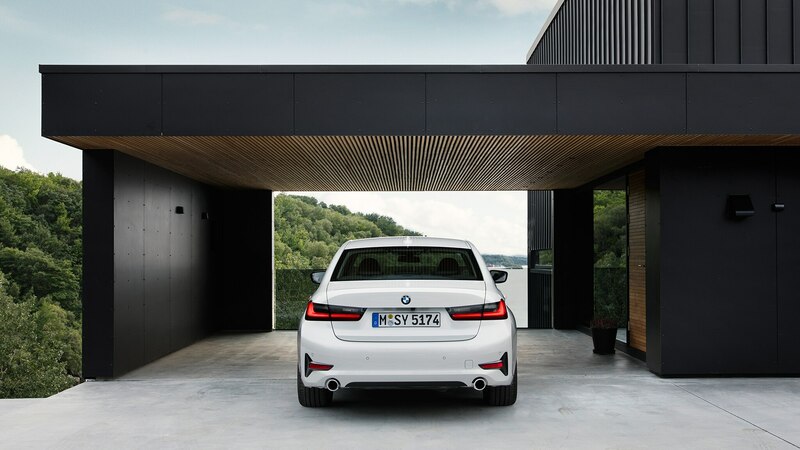 BMW is also debuting its new personal assistant. 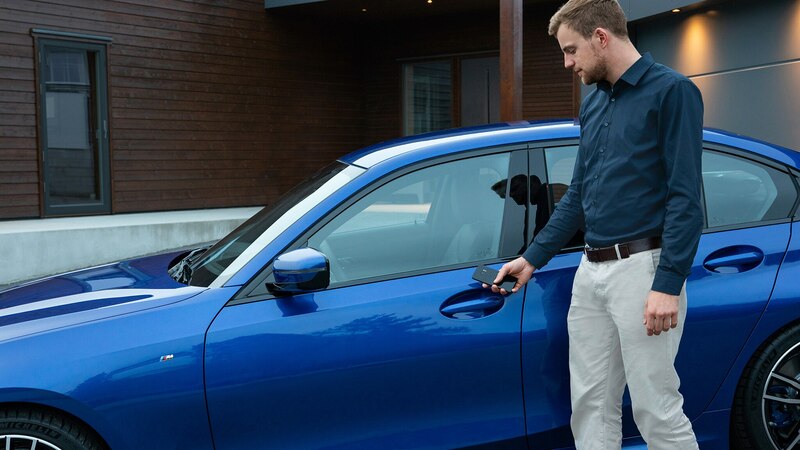 It may not have a special name like Siri or Alexa, but it can perform a range of functions when prompted by voice commands. 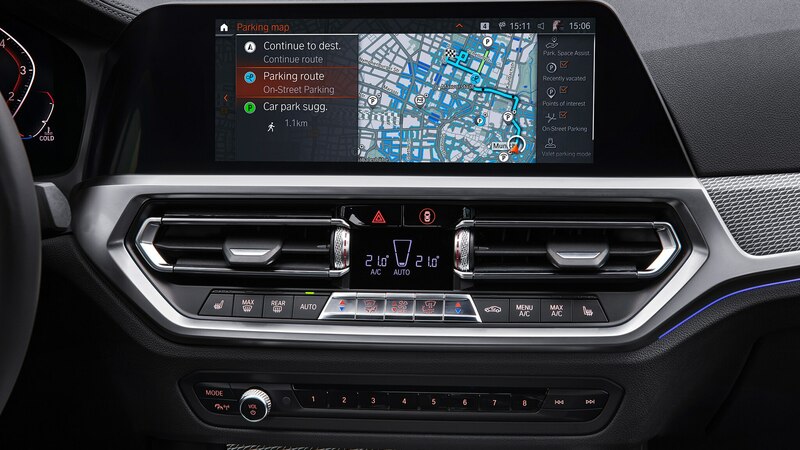 Using the magic phrase “Hey BMW,” drivers can tell the assistant to navigate them home, adjust the climate controls, explain different features of the car, find parking, or keep track of their calendar events. 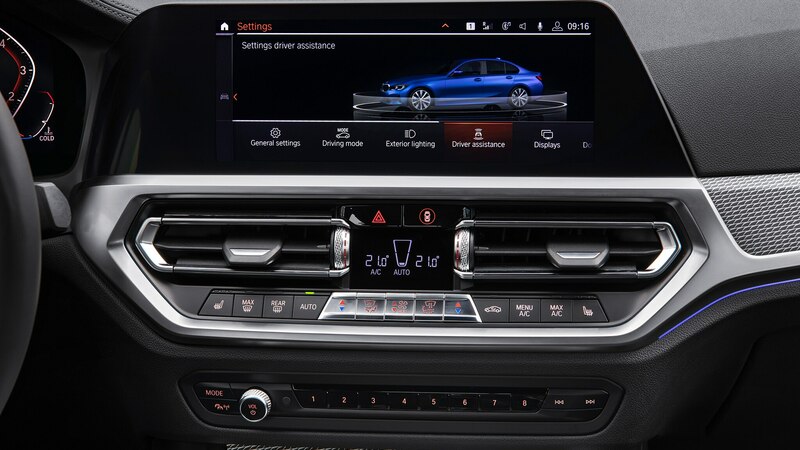 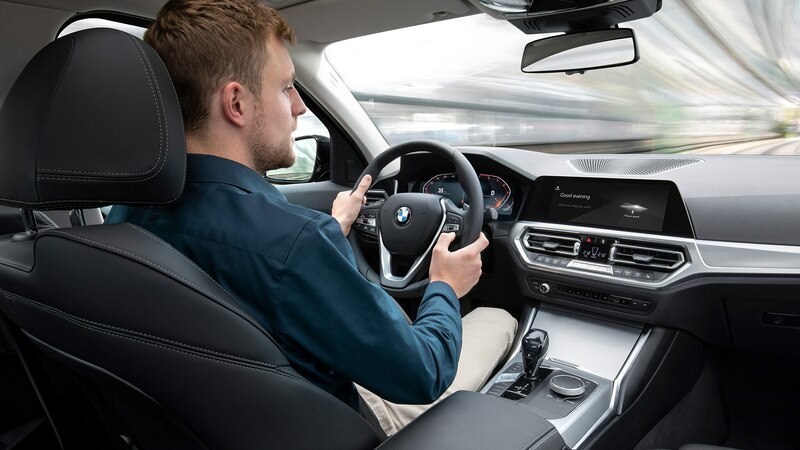 If the driver says, “Hey BMW, I feel tired,” the assistant will adjust the lighting, music, temperature, and other functions to help waken the driver.